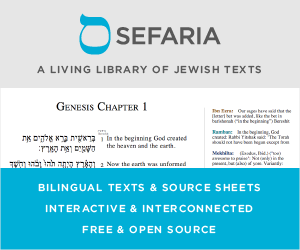 What is a good way to make one's website inaccessible on Shabbat? Suppose I wish to make my website automatically become unavailable every week during Shabbat, or at least for a time period that roughly corresponds to Shabbat for a large group of people. Can you give me any specific technical advice on how to go about this? Bonus points for any suggestion that allows this behavior to be dependent on the probable location of the user, based on their ip address for example. While I don't see the point of doing so, I would highly suggest that instead of making it completely unavailable, put up a page with something along the lines of: "it's Shabbos so we're closed. Check back soon". I would additionally suggest that you give the user an option to "continue anyways" at their own risk (In OP's case it may not matter, but in most other websites' cases it will make a difference. IP Geo-location is a mess: it may seem to work right many times, but that only holds true if an IP always reflects a user's location. Which it doesn't (proxy server, dial-up, bad info, etc.). Just from my own personal experience, I punched my IP into http://www.ip2location.com/, and it told me I was in Massachusetts. Sorry, but a simple reading of my profile on this site will tell you I'm in NY. The only thing that remains is what time Shabbos is. Once again, if IP Geolocation was accurate we could get it from there. A possible solution to this problem is to be lenient. In other words, in a given timezone (which we know the user is in), what's the latest possible sunset? If the user's time is past that, then redirect, otherwise keep him here. If you absolutely must implement such a system, be very careful with your technical implementation. The best route would probably be along the lines of some combination of client and server side detections, but you still have a small risk of locking out some users. A more recent solution to this problem can be found here. After inserting their code snippet into your webpage it blocks access to your website on Shabbos depending on your location, and instead transfers you to a page which tells the visitor what is happening. The service is completely free, but there is also a premium plan which allows you to control how much time before and after Shabbos your website closes, hide their logo, and also allows you to make a customized closing page. Also, if your website is SSL you will need a premium plan. The premium plan is very reasonably priced. I am currently using their service on my websites. There is actually a company in Israel that offers this as a service. Their website is here. If you work with WordPress, you have a plugin for this. Not the answer you're looking for? Browse other questions tagged shabbat internet . What's a good website for asking questions about Jewish life and learning and getting crowd-sourced answers? What is a good place to buy kabbalah seforim online? What is the correct way to cook Jachnun on Shabbat? Why are Shabbat loopholes a good thing?